When i use it it gives me .dat and .mka files. What do i do with them? Here is blend file for import models from dat files. Select file with *.dat (file with size > 300 kb) and press import. Script import geometry, uv and weights for vertex, bones. Bone map is still in progress. We have recursive lists of sections. I did have 2.6.2 python installed, but I changed that to 2.6.6 and it didn't change the error. I'm using Mortal Kombat Armageddon files for this but I think it uses the same format as Deadly Alliance. I can't help for Armageddon. Files are little diffrent and not for quick apply changes in script . Please wait . Take your time, and thank you for checking them. Here is a little progress. Bones, geometry+uv. Rig bones from skeleton called "rig" dosn't have correct names. I tried but I can not do this properly. Last edited by Szkaradek123 on Sun May 08, 2016 6:16 am, edited 1 time in total. Thank you! They now import but the weights are messed up, I assume you are working on that? I found similar game with making tree with chunks like games Mortal Kombat. It is a Blood Roar 4 for PS2. I know there are scripts for import models from this game - https://ps23dformat.wikispaces.com/Bloody+Roar+4 andsecond made by chrrox and mariokart64n on xentax, but i want make my own importer from this game - for Blender. I have almost all: geometry, uv bones but unfortunalety don't understand how make are skin indices. offset 19307   (318,) - it is interesting value . Look at this: value from offset 20491- 362, so 362-318=44 - i think it is count of weights for this submesh, and 318 is as ID from some    list, but don't know where to find it. so here is a blend file for import dff files from Bloody Roar 4 PS2. How use: like importers above. 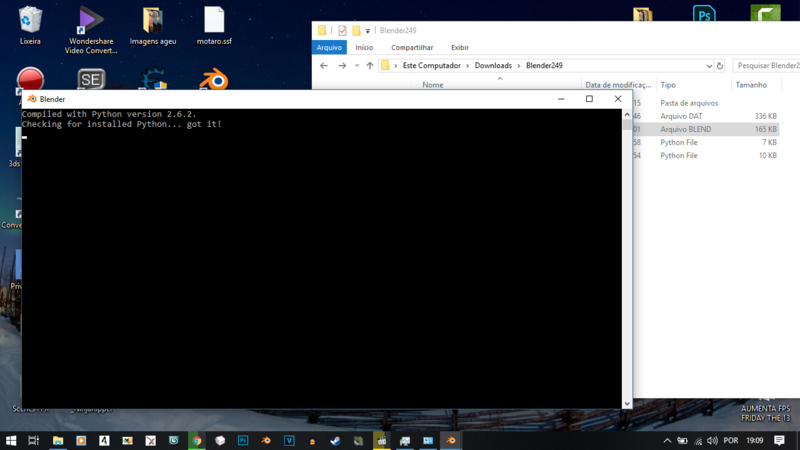 1. run script and select file with txd. 3. in this software open file txd and extract images to the same folder where is *.dff file . Please to choose tga format for images. 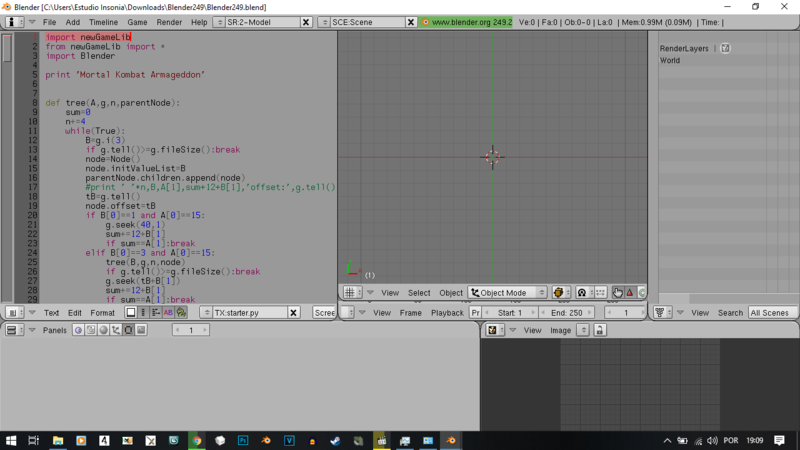 4. close PS2TXDViewer.exe and in blender run script and select dff file. How to extract this game? does anyone explain to me why this error happens when I use the alt + p key to import the dat? EDIT: I've already got it, I just had to copy the "newgamelib" folder to the lib folder in the python directory.